Let’s say you grow up in a family of champion sleepers, yourself included. At college, you sail through rowdy dormitory life sleeping like a log. Job interviews, stressful to some, don’t faze you. By 27, you’ve landed a good job and in a few years earned enough for a down payment on a house. Sleep is still dependable and stays that way for a decade. Then, coinciding with a move and the birth of a second child, you find yourself wide awake at your normal bedtime, staring at walls. Soon this becomes the rule rather than the exception. Before you know it you’ve developed chronic insomnia. How can sleep go from good to bad so quickly? 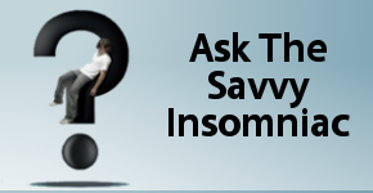 Insomnia sufferers write to me often with complaints about sleep-related worry and anxiety. Finding a solution to this problem can be tricky. It may require experimentation before you home in on a strategy that works. This person—let’s call her Judith—doesn’t sound like she’s getting much sleep: little more than 4 hours if you tally up the numbers. Few of us could thrive on a steady diet of 4-hour nights, and Judith is no exception. She works full time and cares for her family in the evening. When the alarm rings, she’s got to be up and on her toes all day until she crashes at 10 p.m. No wonder she has a lot of anxiety about sleep and is desperate for more of it. 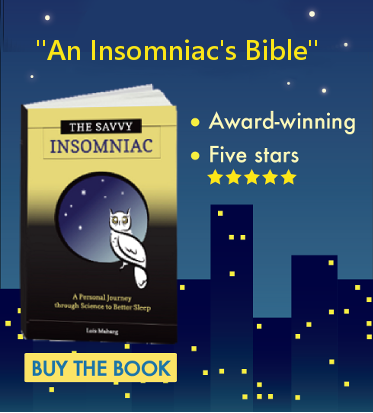 I’ve blogged about various ways to improve sleep, but one small change of habit I’ve mentioned deserves more attention. Who Says Sleep Declines with Age? Older adults tend to sleep less than younger adults, with total sleep time declining by about 10 minutes per decade. But the assumption that sleep problems generally increase with age does not always hold true, according to two studies recently published in the journal Sleep.